Welcome to my blog. I document my love of vegan and plant-based living and food. Hope you have a nice stay! THE KITCHEN IS THE HEART AND SOUL OF EVERY HOME. TO BRING FUN AND INTEREST INTO OUR MEALS IS A GOOD WAY TO CREATE THAT FEELING WE CALL "HOME". 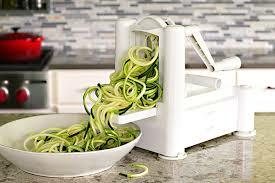 Spiralizer: for creating veggie noodles for pastas, soups and salads. Hand blender: for soups, gravies and sauces. High speed blender: for smoothies, juices, and dressings. 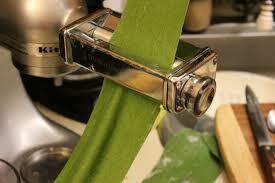 Pasta roller: for creating plant-based raviolis, tortellinis, and eggless pasta. I am newly obsessed with making pasta. So many pastas at restaurants are made with eggs (Be sure to ask!). And then, to top it off, raviolis, tortellinis, and other pasta pockets are stuffed with cheeses. When you make your own, you can control which healthy ingredients you want to use. Try some combos like, butternut squash & kale, or mushroom & spinach. Just about any combination you like could work. The options are limitless! Get updates on my recipes and tips.